When people start Straightness Training, there is an issue that pops up regularly. People start to do ST, but also watch dvds by Trainer X, and they have practical lessons with Instructor Y, plus they follow an online program with Teacher Z. So the very good thing about these riders is, that they are very enthusiastic, they are eager to learn, they are hungry for more, and they want to learn all there is about gymniastic exercises, lateral movements, rein handling, leg aids etc. And they want to take everything in from great trainers and their methods! But the aids, cues, techniques and concepts from dressage Trainer X can differ completely from dressage Instructor Y. 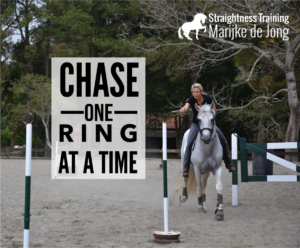 Both teach dressage, and the end result can be the same, but the way to get there might be completely different. Therefore Trainer X start with focusing on topic A and Instructor Y on topic B. So every time the rider is seeing the other trainer, something else will stay top of mind. So at some point these riders start to feel like they are getting confused taking everything in from all these trainers. They start to feel like mixing up their aids and cues and the concepts (not always consciously, oftentimes unconsciously!). And their horses seem confused as well. Plus also for their instructors it’s very difficult to help them achieve the goals they aspire and the dreams they desire, because oftentimes the instructor has to go back to basics to start all over again, since every time the rider returns, anything else is top of mind than what they were addressing last time. More ways lead to Rome, but you can’t travel them all at the same time! It’s not that there is one right way. It’s not that method X is ‘wrong’, and method Y is ‘right’. It’s just another journey! And it’s not a matter of which trainer, teacher, instructor is the best. Or that one is ‘good’ and the other is ‘bad’. It’s about ‘chasing more rings’ at the same time! 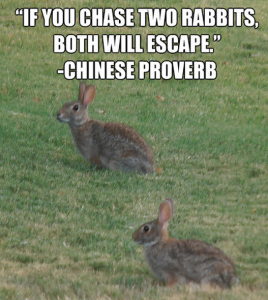 This means that if you chase two rabbits, you will lose them both. And when no goal is reached, oftentimes riders start to blame; they start to blame the method, the techniques, the approach, the concepts, the instructors and sometimes they even start to blame their horse. They find excuses why it’s not working. So when you start practicing a new method and if you truly want to master this method, if you really want to reach the highest levels in this method, or have aspirations to teach this method yourself, then it’s best to stick with that method for at least a few years. Just take a few years to master all details, to widen, broaden, deepen your skills, knowledge and wisdom, so you can reach the highest levels in this particular method. Stick to the method to avoid confusion and to avoid ending up with nothing more but frustration for all parties involved. So keep calm and chase one ring at a time! And if you’d like to start to chase Straightness Training…. STart today: Sign up for free! How to avoid the training pitfalls that I’ve fallen into, and almost every rider falls into, and which make training your horse ten times harder! How to teach your horse a new exercise in a horse-friendly and stress-free way. How to eliminate unnecessary stress, frustration, and disappointment, and fast-track your progression! Six simple keys to make horse training and riding easy, no matter what discipline you’re in, and no matter what breed or age! 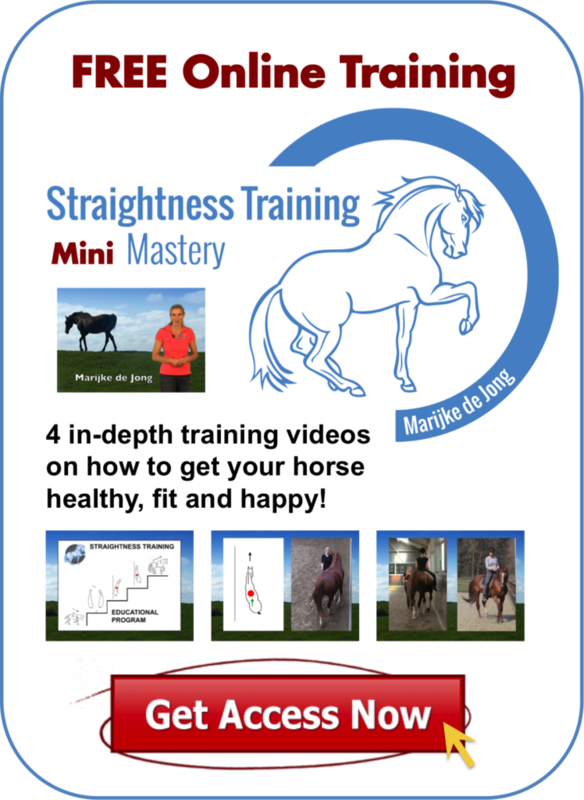 This mini course really is worth watching – not only useful insights and tips, but also seeing the learning stages that both a less experienced and more experienced horse had to go through to achieve the desired results. All 4 video clips are accompanied by easy to understand theory and explanations, which makes it easy to follow and the processes even more clear! Plus, the downloadable manuals are very informative, useful and helpful!